Artists have long found the window a compelling motif—as a barrier to or opening on reality or exterior worlds. Not only for its symbolic associations but also for its formal properties, the window has been adopted by painters from Johannes Vermeer to David Hockney as an effective compositional device that extends the picture’s domain. 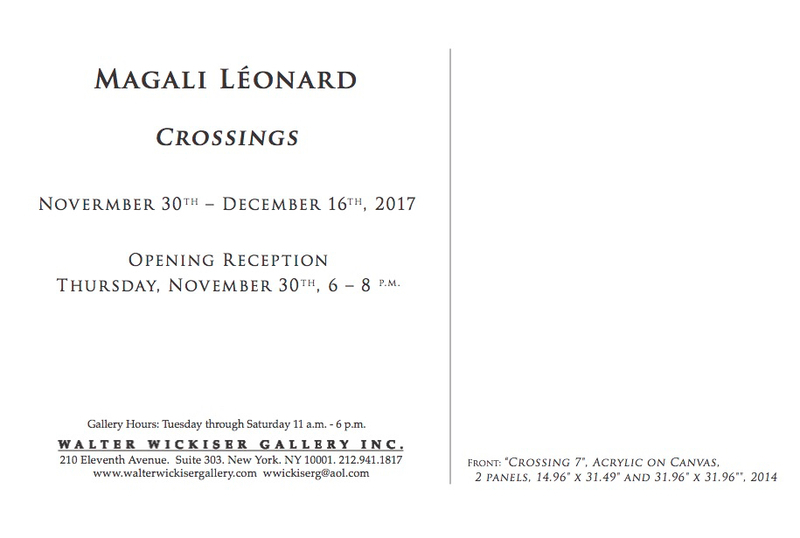 French painter Magali Leonard makes use of the age-old artist’s tool in her “Crossing” series. Her approach, however, differs in that the vision she depicts through the aperture is not a static image, but a shifting one. 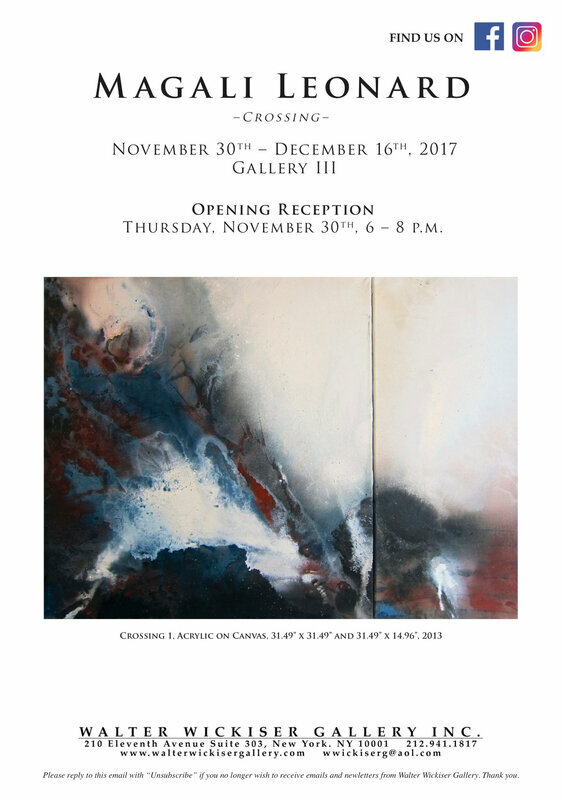 These dynamic and luminous acrylic paintings evolved from Leonard’s continuous viewing experience from the window of a moving train as it powered west from Chicago to San Francisco. The impetus for the series aligns with Leonard’s practice, her devotion to exploring the relations—or “crossing”—between space, light, and color. In doing so, her canvases impart a distinct sense of flux—of appearing and disappearing, emerging and rescinding, drifting in and wafting out. They speak at once of primordial echoes and apocalyptic ruins. Like a Turner watercolor or Japanese scroll, they are sublime visions identifying human potential in nature’s grandeur and boundless landscapes. To be sure, viewers are apt to see distinct topographic imagery in the melding forms, reinforced by their earthy ochre and watery blue tones. It is hard, for example, not to equate foaming waves and a bleeding sun or willowy reeds and a heavy cloud with the drips, blots, and splatters that describe the panels of Crossing 2. In these paintings, Leonard re-envisions reality as abstraction, espousing many of the methods and ideologies of the Abstract Expressionists. Like Jackson Pollock, Leonard tackles her canvas with the force of her full body by placing it on the floor and working from all four sides, uncommitted to a singular viewpoint and dedicated to the consistent, all-over treatment of its surface. 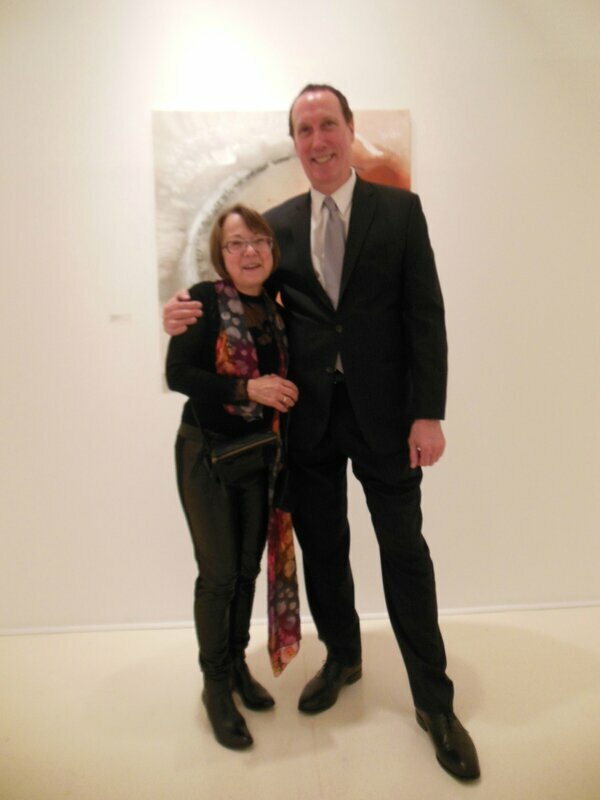 But within the abstract canon, it is the Color Field painters with whom she shares the strongest affinity, not only through her conflation of figure and ground but by her technique in which she applies paint to canvas. By pouring and often diluting her pigments, Leonard creates veils of color that, as she puts it, “stir up” the space, alternately opaque and transparent, soaking into the surface and gliding across it. The disparate densities that result reflect the intrinsic variations of color and matter and infuse the imagery with great vitality. While in Crossing 1 the energy is nearly explosive, suggesting sprays of water crashing against rocks, the pervasive atmosphere in these works is more serene, an ephemeral dreaminess evoked by floating forms and blending hues. 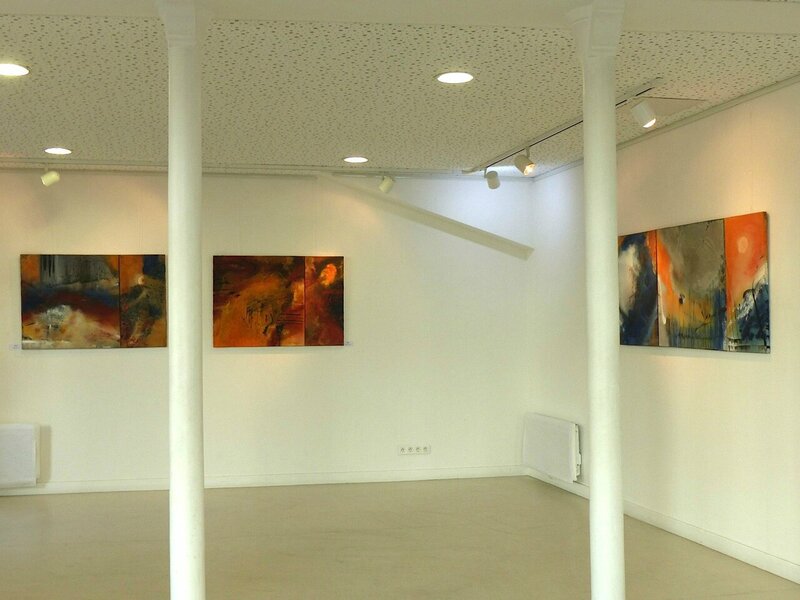 By presenting her paintings in adjoining panels, Leonard reinforces a sense of spatial continuity. The view through the window, now moving, has become unrestricted, transforming physical grandeur into a spiritual one. 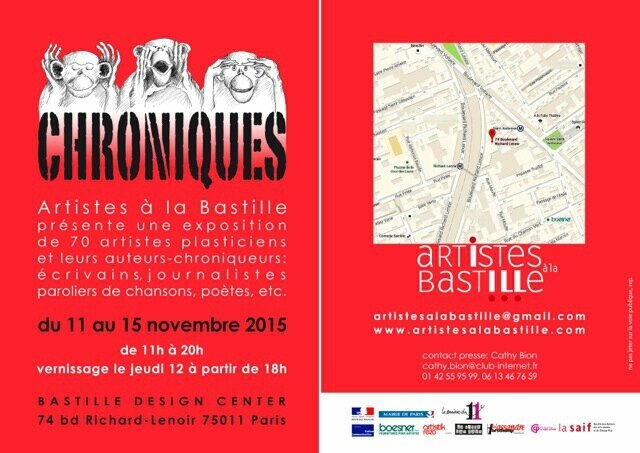 En 2015 j’ai participé à l'exposition "Chroniques" avec l’association Artistes à la Bastille au Bastille Art Design Center de Paris, 11ème arrondissement. 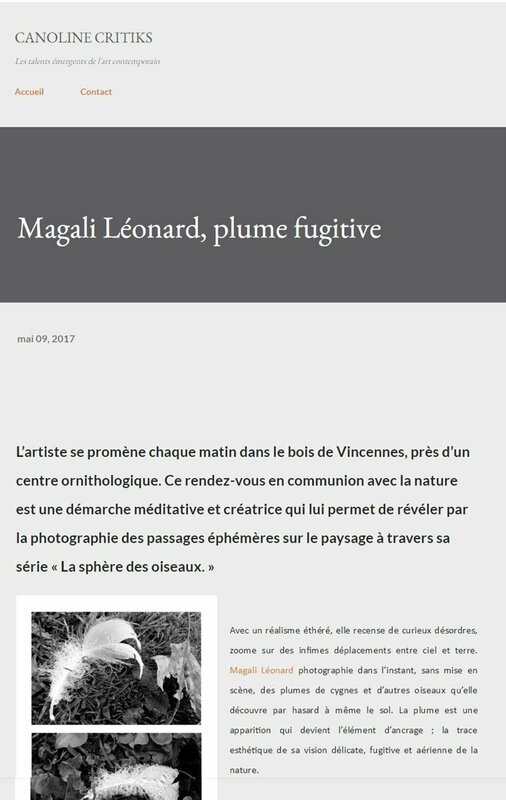 La proposition était de collaborer avec un écrivain vivant. Ce haïku de Monique Leroux Serres est paru dans un recueil "Trente haïjins contre le nucléaire" édité en 2015 aux éditions Pippa realisé en hommage des anniversaire des 5 ans des évènements de Fukushima. 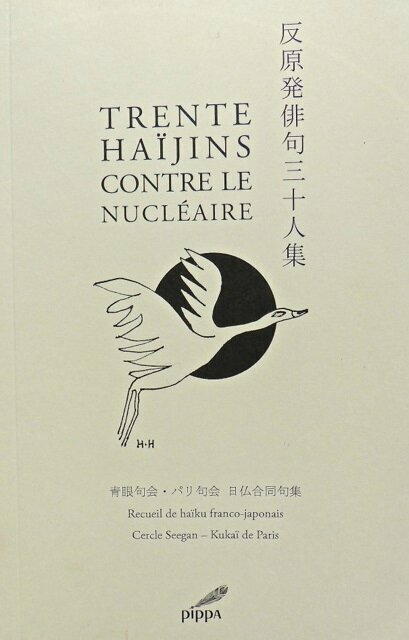 Il a été conçu en collaboration entre les écrivains de haïkus de Paris et de Nagano au Japon. 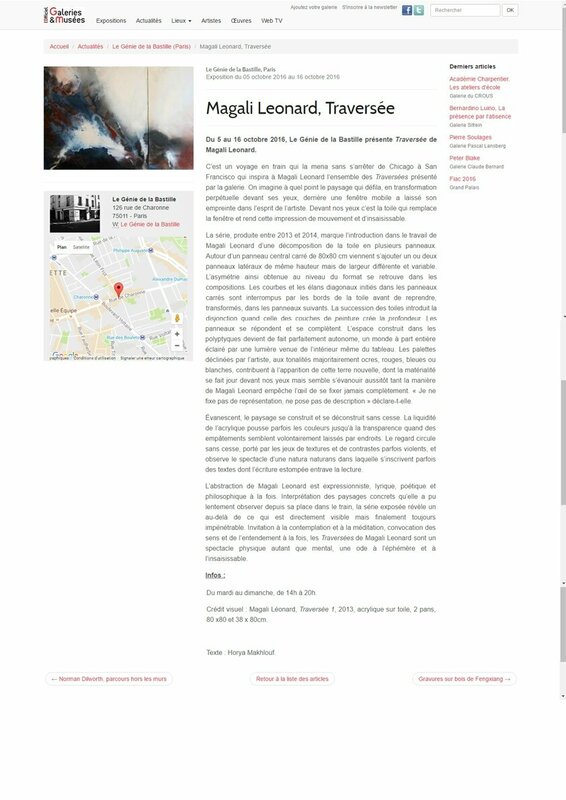 Monique Leroux serres est donc venue lire ses haïkus lors de l’exposition au Bastille Design Art Center. 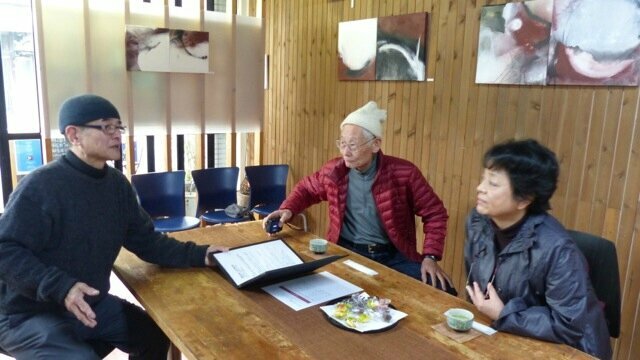 Je reste très honorée et touché car le directeur de la Galerie Monsieur Kageyama a accepté de présenter "Chronique 1" et l'a accroché en pan libre sur rue dans la structure architecturale en pans coulissants de son espace. 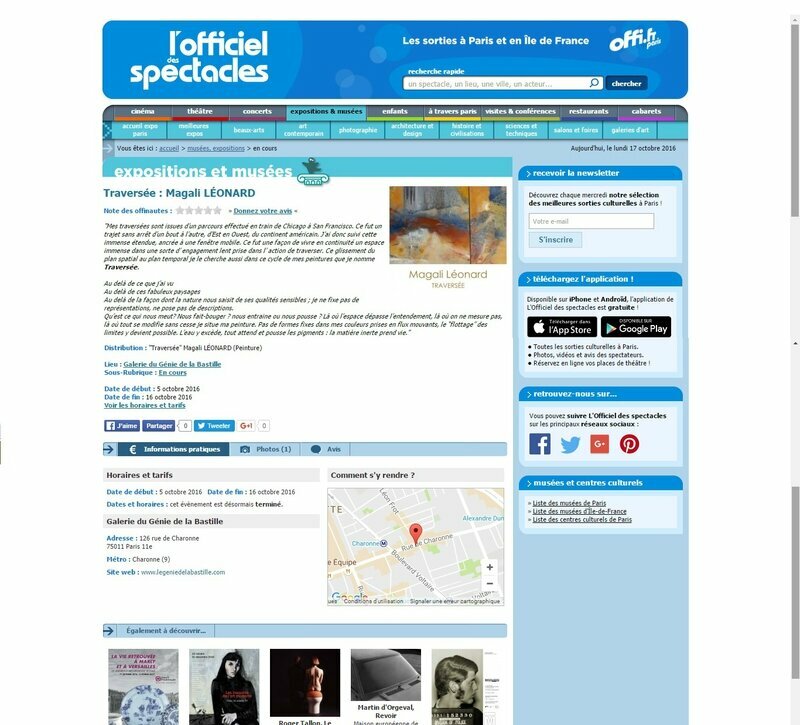 En préparation à mon exposition de décembre 2015 Mr Nahas m'a soumis ce questionnaire qui m'a permis de synthétiser mes réfèrents dans ma démarche artistique. - Your selection /choices of colors, tones, tonalities: which colors do you feel best suit the cosmological and numinous aspects of your aesthetic? 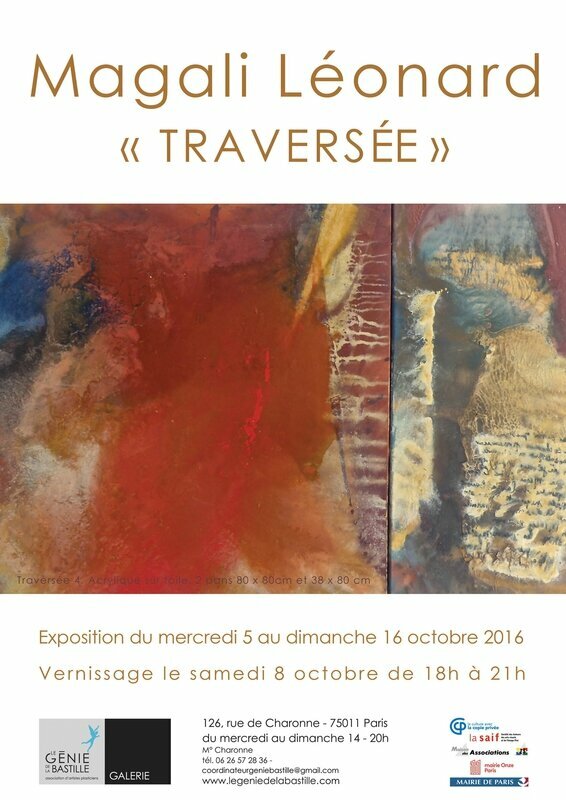 - As I told you for my last exhibition I often use natural pigments reflecting the natural colors of the earth, including a vast range of ochres - materials linked to the earth in earthy tones. I sometimes use warm colors; a strong presence of oranges or, in some « openings », yellows: I use colors that radiate light and “stir up” the space, emitting powerful energy. I also use whites to create depth, extending and giving breath to the painting. The colour black is used in a thicker density. Water, of course, is a vital element. I use my colors with abundant water for transparence, sometimes juxtaposing thicker densities to show heterogeneity of colour and matter. The flow of the water allows the colors to be set into motion. - Please describe the various physical /phenomenological conditions of mark-making in your practice: do you work on a flat surface/that is table or floor or do you engage with yr surfaces as they are hung flat against a wall? Or both? If both, please describe. 1) I have written about my presence in act of creating – the movements of my body, in motion, around the canvas on the floor. There is no top or bottom to the canvas. No set viewpoint. Afterwards, I must decide how the canvas should be displayed, taking into account multiple viewpoints. In an ideal exhibition, the painting would be able to displayed showing all four possible viewpoints, in rotation for example. 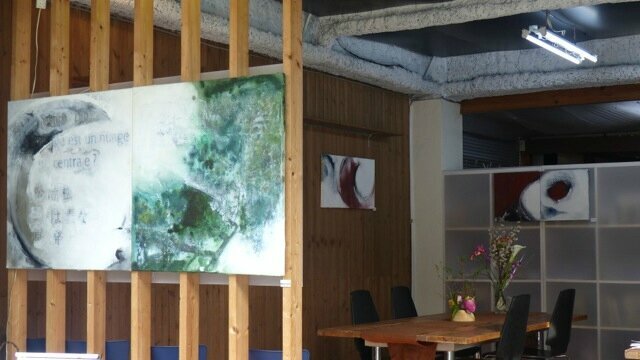 As I mentioned above, my movements and the colors’ movements embodied in my paintings are facilitated by the use of water, a vital element which enables me to move the colors in a fluid motion. It is like a choreography, a dance. 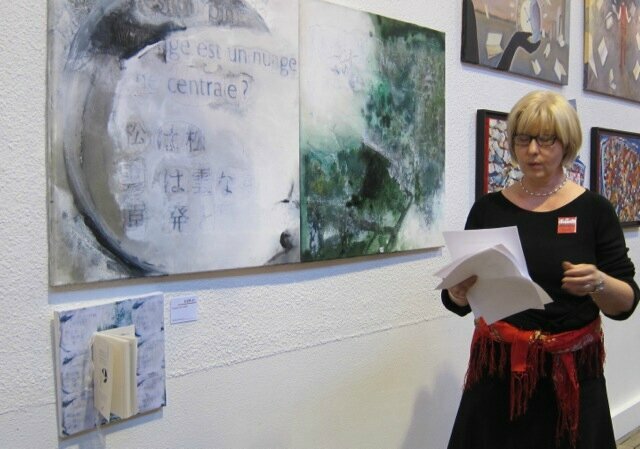 I named my paintings« corps et graphie / chorégraphie» prior to 2007. I think of it as a body calligraphy. I showed it in Japan in 2004 for my first solo exhibition in Osaka. My canvas always maintains a relationship between its dimensions and my body. It is a constant “hands on” fight as I work. There exists a continuous link between my body and the support. 2) Colour is not applied in brushstrokes as it is important to keep the colors free as I work with, and in the movement of, the flux of colour. I work with that which is escaping, nothing is fixed. I must capture what appears during the process of painting. Something always appears, revealed by colour and the elements. At the beginning there is always a first gest within a first movement, which places a mark in the space of the canvas. If it was music, it would be a like a gong that sounds, a first resonant percussion, a resonant entrance; it is an open circle - not a drawing, not a sign. This first gest creates the energy necessary to enter into the act of painting, creates an open tension. From this moment on, the energy circulates in open space. At the end of the painting, accents, points of intensity can appear, as if taking a last risk. In fact, there is always a risk that all will be lost if this last gest is not right. Generally, however, in this final moment, the intensity becomes amplified in the painting. - Are there any filmmakers or writers that have affected you in the securing of your aesthetic? - I like to go to cinema see a lot of movies and retrospectives. However, if I had to choose only one for my « Openings », I would choose « Pandora », where Albert Levin experiments with the « essence of time » and Ava Gardner goes back to her origins. As for writers, I would choose some philosophers to express the form of my thoughts and my work. Leibniz / soul-body-world / To be in articulation on the world. Every thought for Leibniz is in relation with the universe. The capacity of humans for universal communication. When something new arrives, everything is played anew. Joy as it affects the deepest part of an individual. As the «coexistence » of all life experience. That which is alive at every moment, in a state of continual fluctuation. There would therefore be no line, no geometry of time but a sort of vertical time. 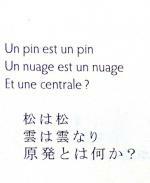 François Cheng « Vide et plein » ( empty and full ) and his poetry. In Asia, the painter as the calligrapher using lines to create and the act of placing a clear accurate line in the white of the empty paper (or the silk ) without the possibility of a redo. Only one chance. The true breath of life. I know that in my paintings I need to keep this “breath” circulating. Empty space is as important as the filled space. 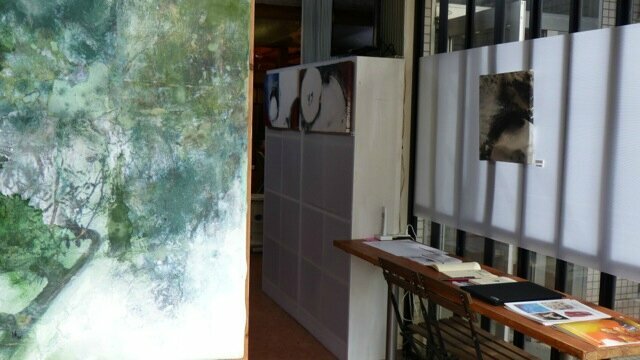 I need to preserve some white empty canvas and I often keep reserves - reserved space for the original canvas, which amplifies the space. The openness. The state of flux. The relationship between color and space. How transparency is linked with the openness. The painter is not front of a blank canvas as somebody who has to show . He is open to the canvas and the canvas is open to him. The painter opens the space. - The All over of course is important with the question of open space and the absence of a dominant viewpoint. Pollock, of course. I am working on the floor so he is essential but there are big differences. Firstly, I stretch my canvas on a stretcher. I need resistance to be able to control the different possibilities of movement and to keep the colors immersed in the canvas. 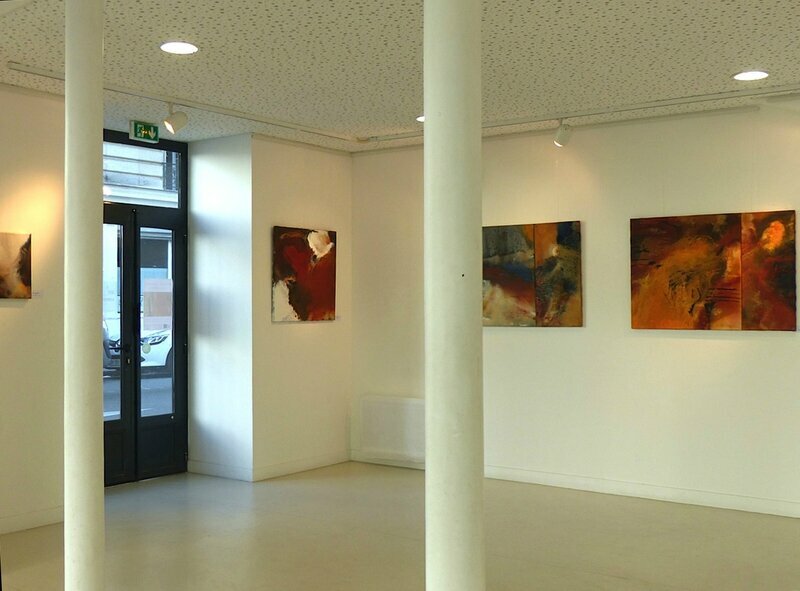 Also, I build the space into the movements, mine and the flow and flux of colors. Hantai he worked in the reserved space… with the circulation of the «breath of life» - as it is tied to the universe, which is of course important to me. 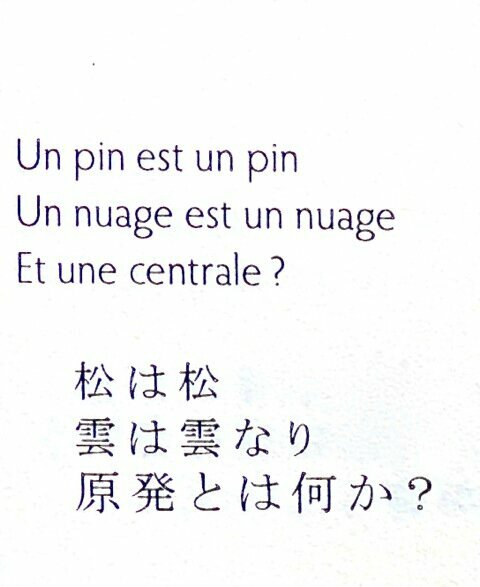 Donald JUDD about question of the relation of spaces : no center, multiplicities and harmony between the elements; As in Ley’s mathematics. He built with principle of continuities. All the points of space are in relation to each other and envelop the space in folds which reflect light materials, It is a concrete universe always in movement. - Your work is evidently intuitive as are the choices you are making in terms of color/mark making etc. With that understood and out of the way please answer the following question that pertains to your use of intuition if we are to understand that intuition isn't hocus locus but draws upon subliminal knowledge and allows the unfiltered, unfamiliar and unknown to enter your work: what role does intuition play in your work? - I think I have to understand « intuitive » in the sense of « thought representation ». Perhaps. Yet I have answered this through my choices of artists or philosophers to shed some light on my research. As someone involved in visual philosophy WHAT are you describing in and through your work? How are you describing (it)? in and through and as your work. 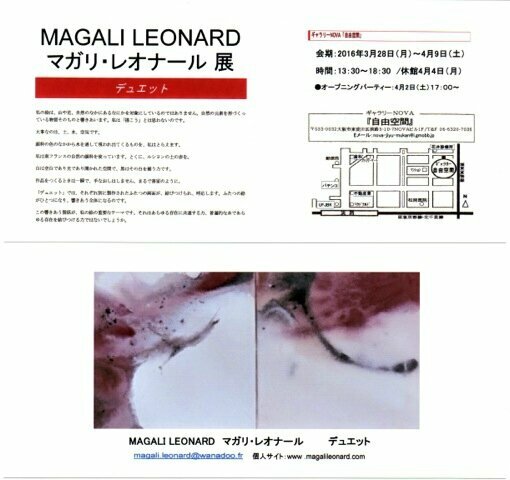 I could give some references which may help to understand the nature of my work. I am not describing; I am not in a logic of intentionality. Every space is a unique space in which I find myself in the presence of the action. Every painting triggers my surprise. I have to be receptive to what the painting is showing me. 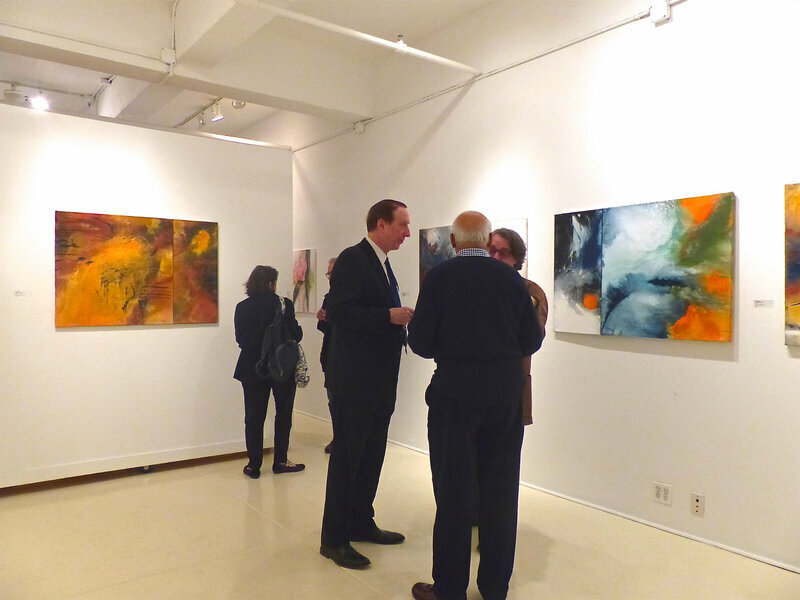 The unpredictable nature of my work allows me to remain open to the act of creating. - Please speak to your titles in your work: how do you select/choose your titles? From your perspective what is the importance/lack of importance of titles in an art work/in the making of an art work? - I don’t like to give titles to my work because they can often limit the way my work is perceived by the viewer. Titles can close their imagination. I prefer to provide a more open terminology, such as « Cosmogonies » or, in this case, “Openings” . However, I did name a Cosmogony : “Microcosme Macrocosme” (shown in December 2010 at the Wickiser gallery). This painting was an exception to the rule but I understood the necessity to name the Universe released in my painting. I chose this title because it is in relation with what I show (through space/light/colors) and its internal meanings. The paintings evolve from the first mark of an open circle, through light and the circulation of light, and through the spaces of color. Nothing is closed. I added a number for every painting as representing a unique moment, a unique element in this continuity, a tempo to my creation. 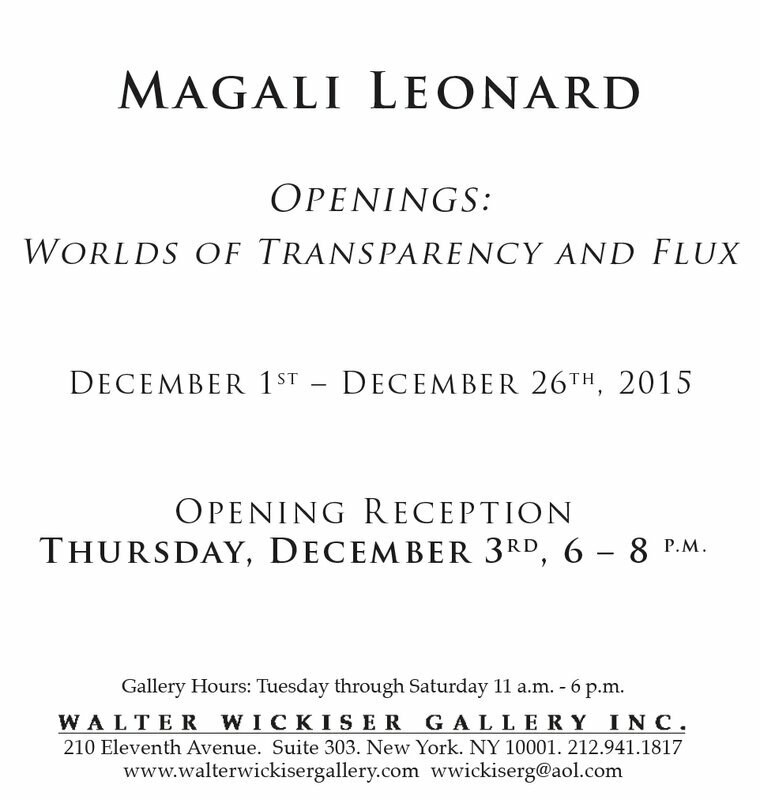 Magali Leonard’s “Openings” series of acrylic paintings are invitations. They propel us into pictorial universes in which the beholder is beckoned and beseeched to bear witness. In experiencing the artist’s surfaces, her markings and ovoid shapes, what we sense and feel is flux, the very nature of beholding and of becoming, at once anticipated and then withdrawn. The principle that underpins Leonard’s apparent fealty to exploring the dialectical fluctuations of appearance and dis-appearance, of integration and dis-integration, of ceasings and beginnings in her work is the principle of revelation. 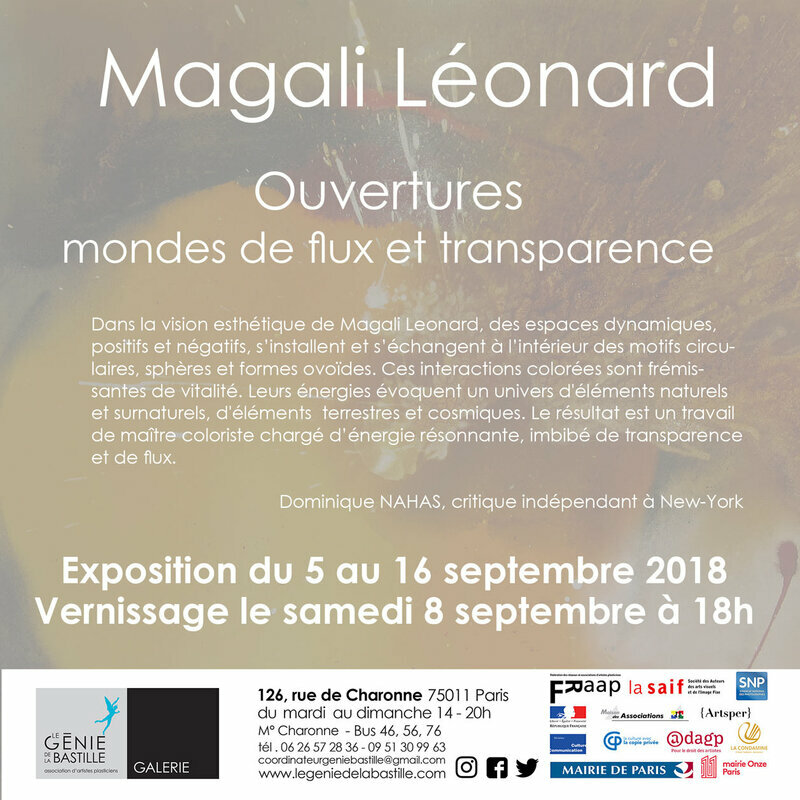 Leonard also skillfully pours her pigments to create veils of colors to, in her words, “stir and wake up the space and spacings of light” that permeate each painting. 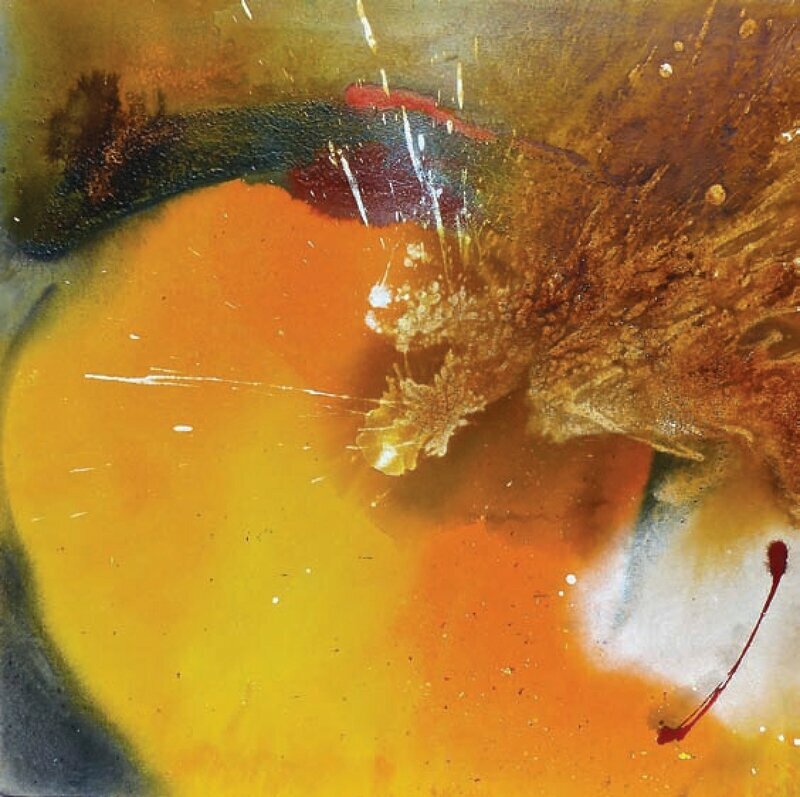 Transparency and opacity, through pouring, are mixed and matched by the artist, coloristically, to convey the presence of prima materia—the formative elemental condition leading to alchemical alteration, change, and ultimately, transformation. In Opening 8 (2011), Leonard creates an explosive dynamic field of interactive marks and forms that excite, mystify, and delight the eye in equal measure. Leonard’s palette is unforgettable: she selects a wide range of ochers, yellows, and oranges to suggest radiant light in some areas of the canvas, while suggesting volcanic and subterranean terrains in others. 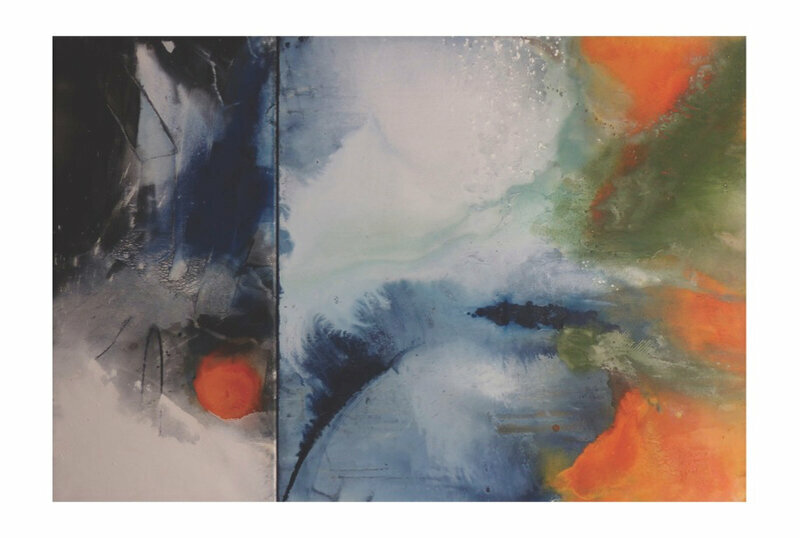 The artist builds upon the advances of pioneer American color field painter Helen Frankenthaler, as well as those of Morris Louis and Clyfford Still, to create supercharged color-soaked and color streaked surfaces that compete for the eye’s attention in an all-over manner. Vitality and vibrancy permeates Opening 8. 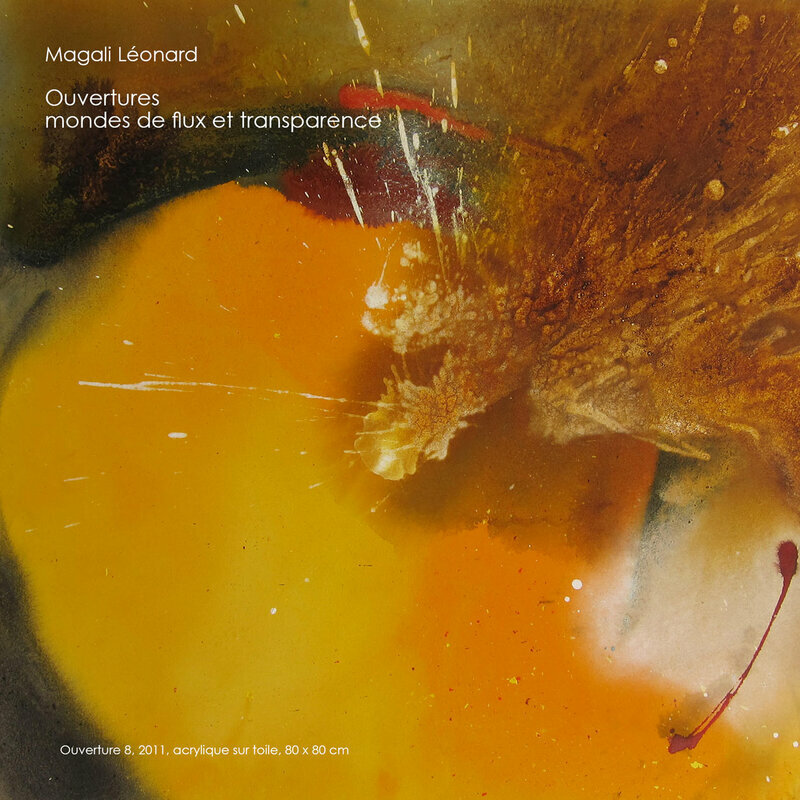 Leonard uses her natural acrylic pigments as dynamic agents in their own right; pouring them on her pictorial surfaces, some of these colors are allowed to soak into the canvas, while others build up in thicker consistencies, and still others manifest in the form of rivulets, splatters and dribbles. 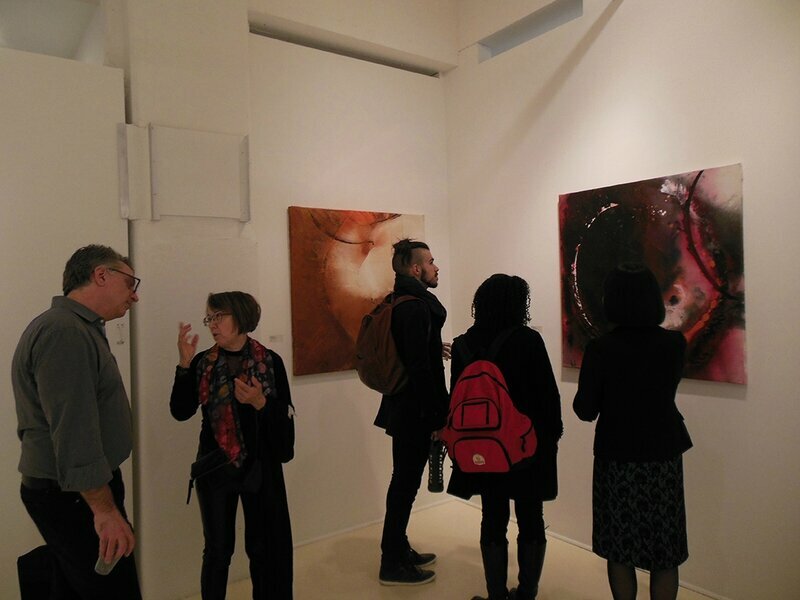 The composition consists of different coloristic scenarios where shapes and marks seem to erupt naturally from within, like emerging fields of energies spreading beyond the edges of the canvas. Such a promise of transformation is manifest in, for example, Opening 27 (2012). Leonard’s painterly pours are used to create the suggestion of a floating nighttime world, of moody coronas and lunar eclipses. Leonard applies—or perhaps “choreographs” is a better term—a spectrum of thin and thick washes in her paintings to suggest a fluid dynamic between “emptiness and fullness” a term used by the French art historian Francois Cheng to describe the aesthetic principle in play in classic Chinese painting. In Leonard’s aesthetic vision, dynamic positive and negative spaces nestle and interchange within circular motifs, spheres and ovoid forms. These interactions, tinged with coloristic bravura if not ferocity, are tremulous with vitality. Their energies infer the realms of the natural and of the unnatural, of the earthly and of the cosmic. 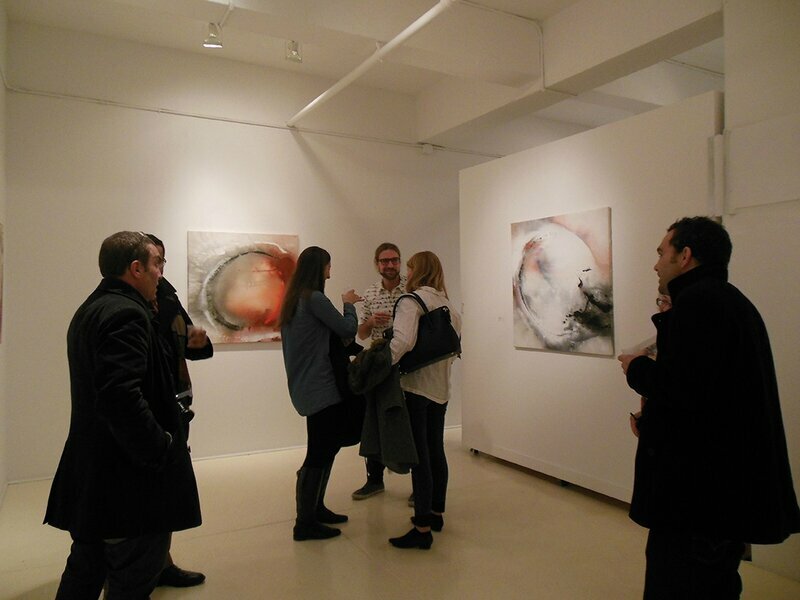 The results are painterly masterworks charged with resonant energy, drenched with transparency and flux. 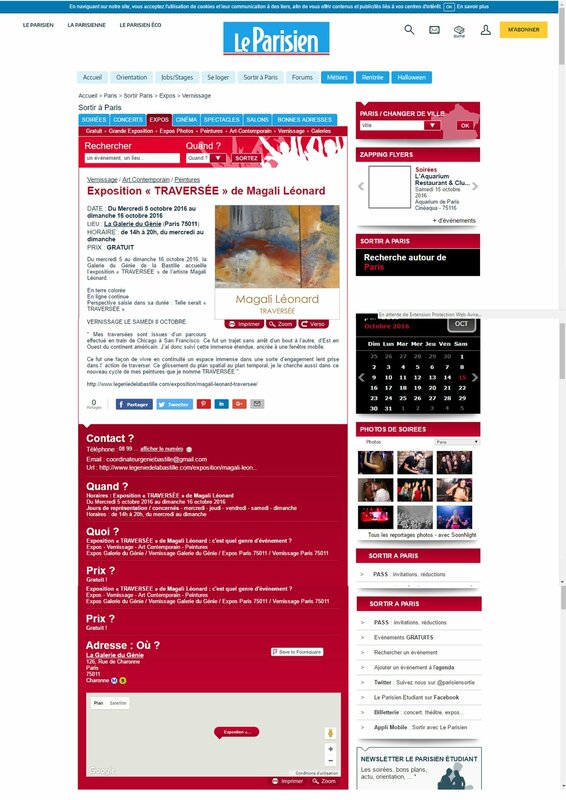 Dominique Nahas is an independent curator and critic based in Brooklyn.